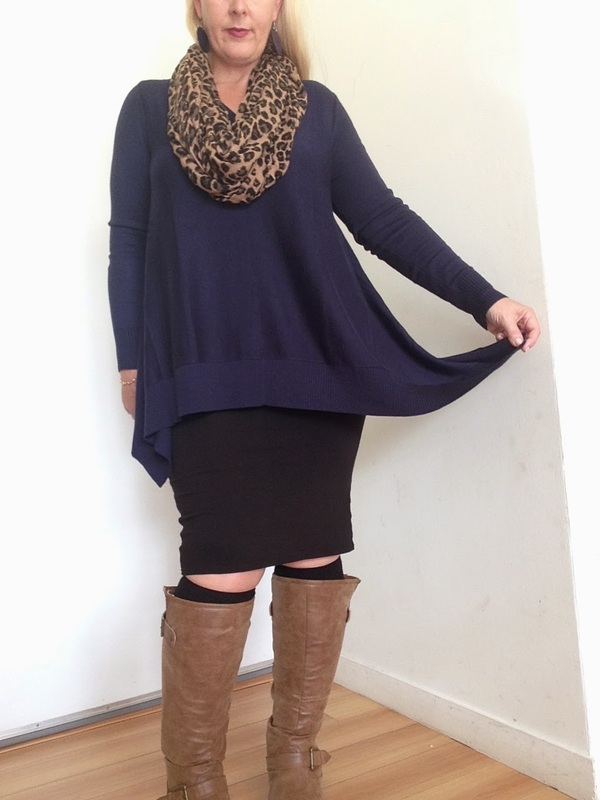 Here I wanted to show you how I paired it with an infinity Leopard Print scarf that I had in my wardrobe. 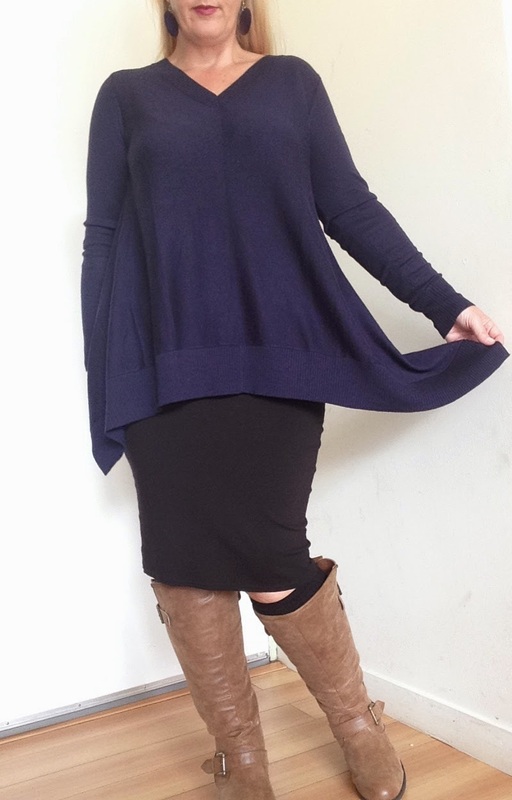 I felt it picked up the brown boots and the black in the skirt and the contrast of pattern against the midnight blue sweater married well. 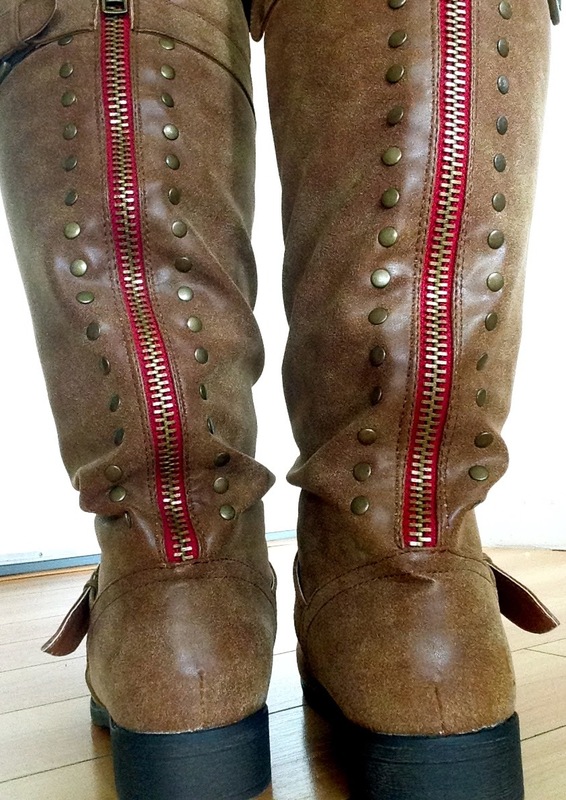 I also wanted to share these awesome boots I found at DSW, I just love the red zipper detail. Honestly, I find it hard to find decent boots as I have a wider calf (a.k.a more of me to love). Actually, I think anyone finds it hard to find boots, sometimes it can take a season or two to find the ones you love. These are Madden Girl from DSW. 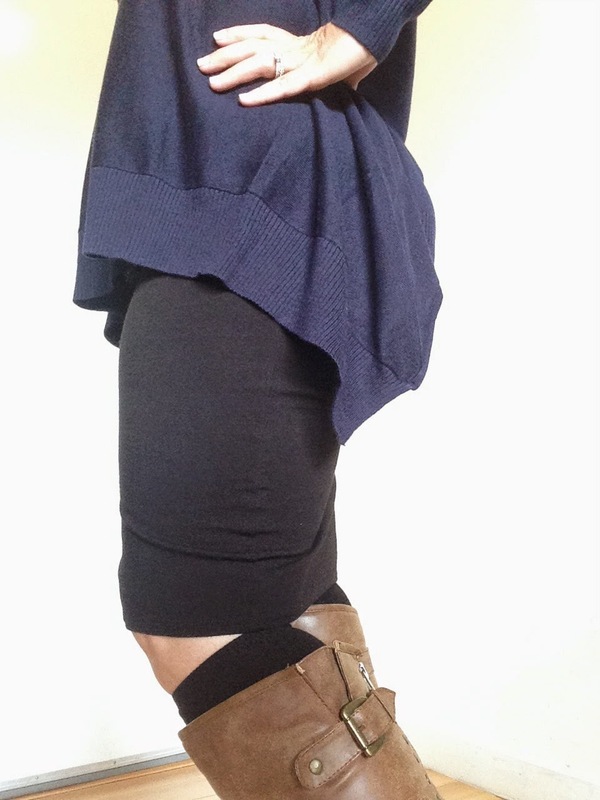 Madden Girl Cactus Riding Boot. $69.95. Compare $90. I’m excited to show you a trend I’ve seen this season. Pairing your boots with knee high socks. This is so Clueless/Alicia Silverstone from the 90’s and I am thrilled to see it back. Imagine all the gorgeous ensembles you could make by just switching out the color/type/design of socks. Cable knit socks look especially fun. I’d love to find some gold or brown glittery knee high socks, but that’s just me! Since this is an oversized sweater, I could afford to go more fitted on the bottom half so I chose to wear my basic black pencil skirt. Totally cotton and totally comfortable. Any comments? You know where they go, down below! Keep on Styling! *Disclosure: I am not a trained photographer nor trained in how to pose for photos, I am just a Mum (Mom) trying to share some insights and inspiration with you. 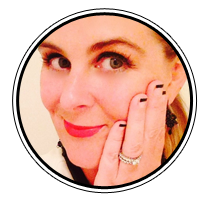 In being truly authentic to my cause, I have used my own clothes and used myself in the photos whole-heartily. Enjoy! Looks fab with the skirt and boots. Great last minute panic buy! Thanks Beck. I worst best under pressure it would seem. Shopping with a 2 year old has refined my decision making skills. Thanks for commenting. 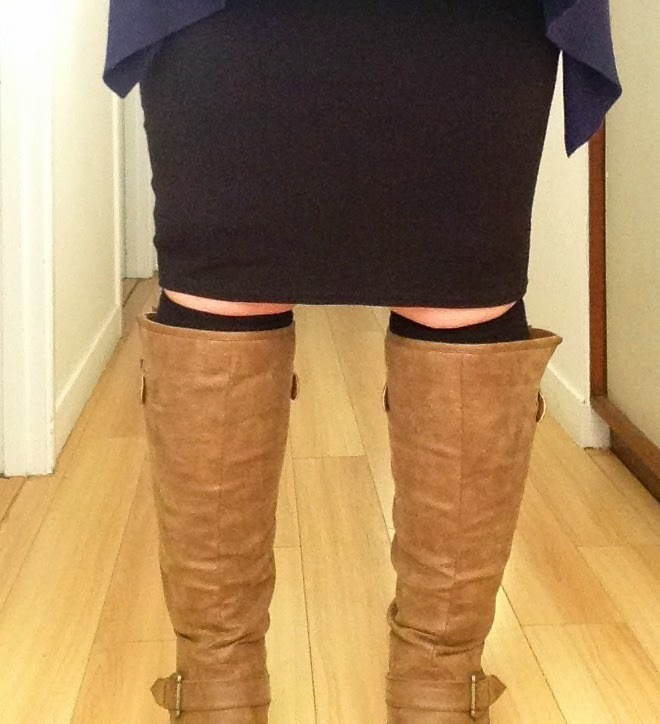 Love this look for the cooler months. Since you mentioned the knee length socks I have seen them pop up several times around town. Yet another accessory now to have fun with it seems.